Bring the classic Goldilocks tale to life with this modern quilting fabric collection, Home Sweet Home by Jill Howarth for Moda Fabrics. 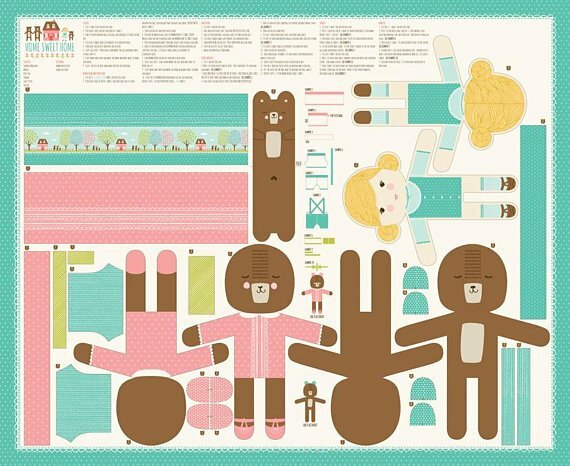 Cut and sew doll panel comes with instructions for Goldilocks and the three bears. Perfect project for the young beginner sewer!